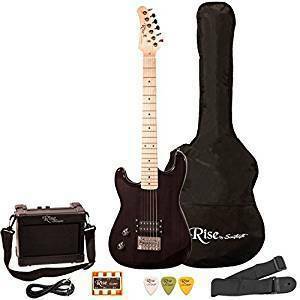 If you are looking for a smaller sized guitar for a left-handed child, your options are a bit more limited than if you are buying for a right-handed child. There are more guitars available if you are looking for 3/4 size rather than a 1/2 size, although you aren’t spoiled for choice with either size. The following table has some of your best options for children’s left-handed guitars. 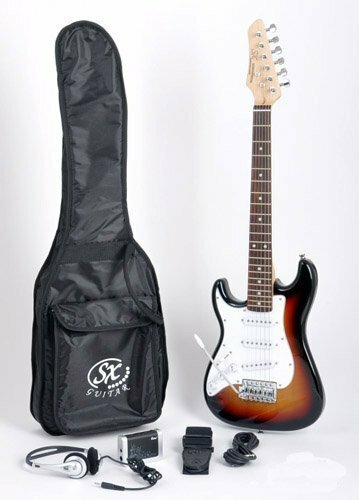 Most of my favorite guitars for kids (Yamaha Student series, the Squier Mini Strat, etc. ), unfortunately, don’t come in left-handed models. If you are interested in a right-handed guitar that is symmetrical and (preferably) nylon strung/classical style, you can get around this by having the guitar restrung in reverse order. If you aren’t familiar with guitars, you will have to have the re-stringing done professionally because it can involve changes to the bridge and the nut that, in some cases, can be difficult or costly to modify. Most children’s guitars aren’t worth the hassle of restringing. For beginners, it is best to try and get a left-handed model, if at all possible. Unfortunately, there are almost no left-handed smaller sized classical guitars available. I think this may be because if you are going to restring a right-handed guitar to make it left handed, classical models, are the easiest to do this on because most nylon string guitars have a straight bridge rather than the slanted bridge of acoustic guitars making it quite a bit easier to restring. For a reasonable price and good quality, I would look at the either the 1/2 or the 3/4 Oscar Schmidt Acoustic Guitars (depending on the age of your child). I’ve only just recently become familiar with Oscar Schmidt guitars because they aren’t sold anywhere in my area. 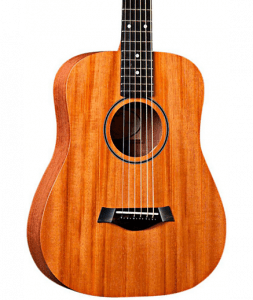 On a recent visit to NYC, I got a chance to try a couple out and was pretty impressed with the models that I tried (although they were not the smaller sized left-handed acoustic). From the quality that I saw in the brand, I would think these would probably be a good choice. 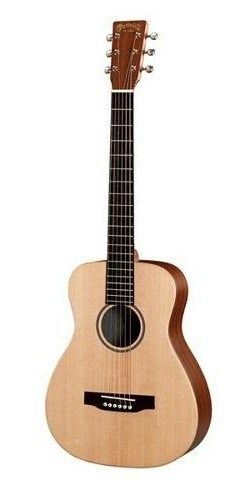 The Martin and the Taylor are great guitars, but they are a little pricey to get as a beginner guitar for a child. I love the Ibanez Mikro, it’s a super reliable, fun to play model, but the look is quite distinctive and isn’t for everyone. The safest or best bet for a small scale left-hand electric guitar would probably be one of the SX RST Packages. They are inexpensive, are decent quality, and come in some different colors that are appealing to kids.